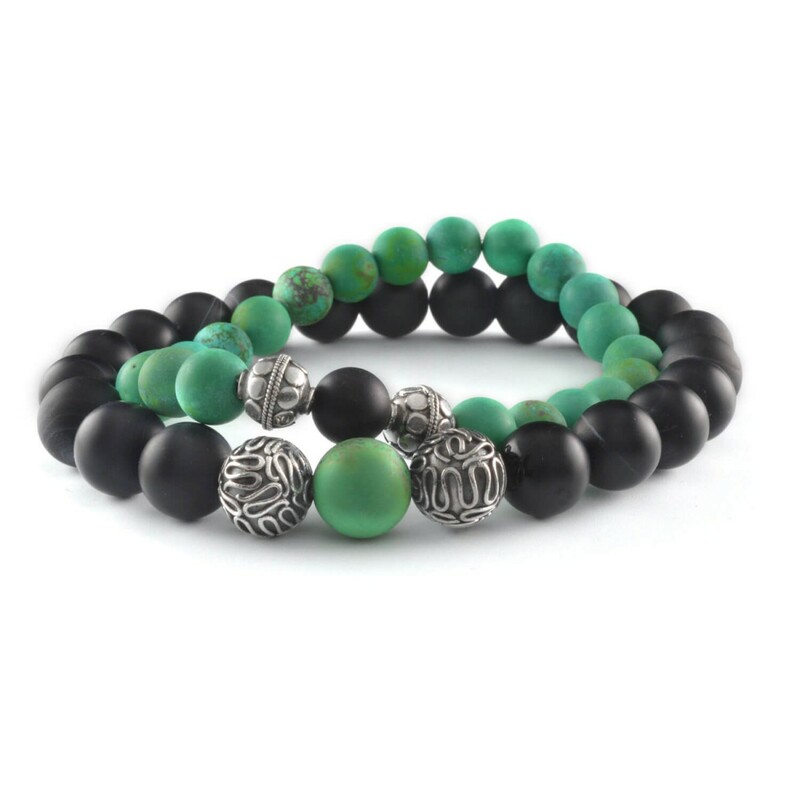 These bracelets are made of high quality 10mm matte Agate and 8mm Green Turquoise. 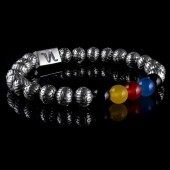 They are both complemented with handmade, s925 sterling silver around your partner's bead. 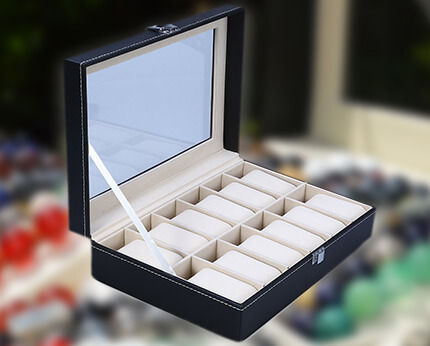 Silver is the metal of emotions, love and healing. Being apart from eachother when you're in a relationship is hard, but very special. 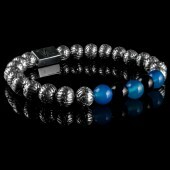 Our special distance bracelets have unique silver beads to protect the other one's stone with its protective properties. 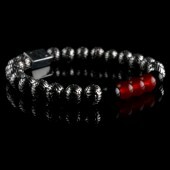 If you both wear one of these powerful distance bracelets, you will always have a part of your better half with you. You will always feel close, strongly connected and never far apart. Turquoise is supposed to be a stone of communication. Some believe the healing powers of Turquoise have the ability to make a speaker more eloquent, loving, creative and honest. Turquoise stones are also believed to improve the overall mental state by increasing all of the following positive mental characteristics: serenity, creativity, empathy, positive thinking, sensitivity, intuition, happiness wisdom all of which result in a calmer state that leads to greater self-realization. It is also considered a stone of friendship. 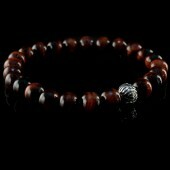 As a communication stone, the New Age believers say that it opens up the connections between friends and allowing love to flow in those communications, which strengthens the friendship bond. It's also believed it has the power to strengthen convictions, courage and personal power. Many healers believe that the healing powers of Turquoise are stronger in Green Turquoise. 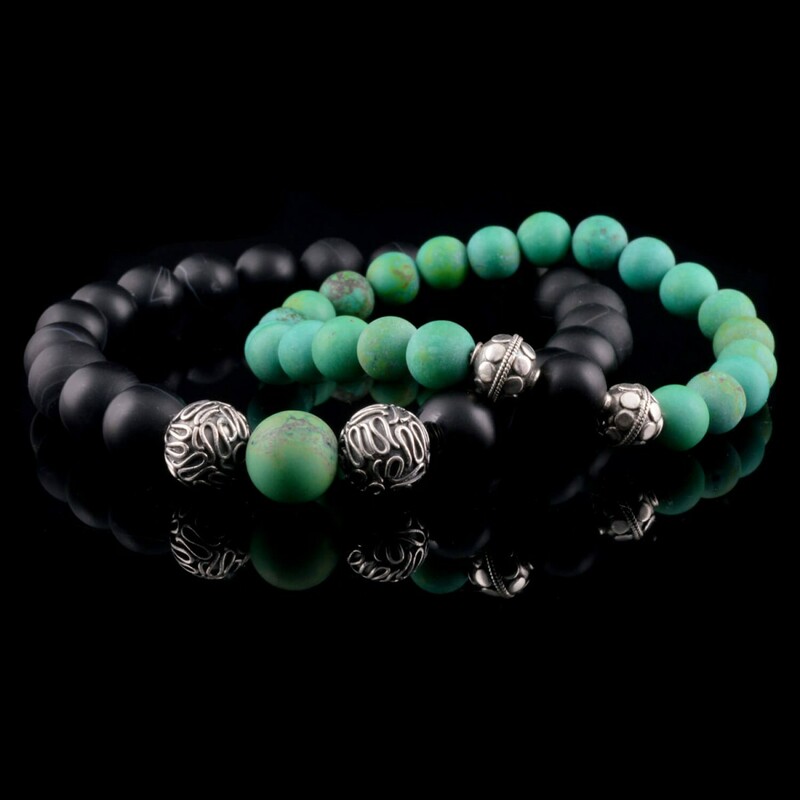 The green Turquoise carries a slightly different vibration from the more vivid blue Turquoise.